After having a feast in Golden Cowrie and completing the purchase of food items for the Christmas Joys, the iLearners gang where kind enough to let me tag along and took me around to the different night spots of Cebu. It is really cool when you hang-out with the locals since they know where the most awesome places are, not just the common tourist traps. Whenever you find yourself in Cebu, do check-out this cool hang-outs. Actually, we just parked here and I didn’t have a chance to look around much but from what I saw this mall is really nice. The look and feel is similar to Greenbelt 3. No offense, but I never thought that they have something like this in Cebu :). It’s my 2nd time in Cebu (1st time was just half-day so I wasn’t able to explore the city that much) but this is the 1st time that I went to the Ayala Center. This is why I love traveling since I discover new places and get a wider perspective about the places that I visit. I’ll never miss Manila when I have a great place like this to shop, dine and unwind. 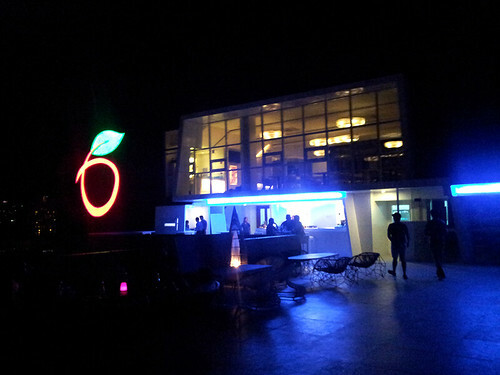 This bar sits on the rooftop of a 19-storey building – Apple One and has a stunning 360 view of Cebu City. 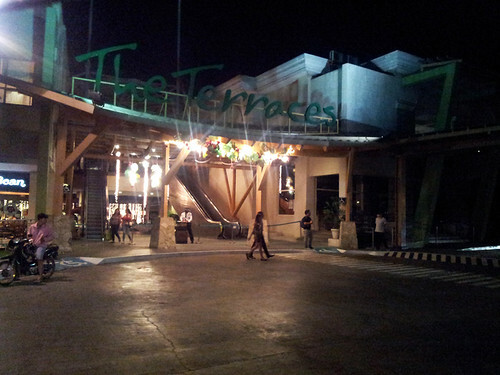 It is just across The Terraces which is in Cebu’s business district. In the Sky Lounge, I was treated with the best view of the skyline of Cebu City. The view from the top is so beautiful. There’s no smog that obstruct the view of the buildings and city lights and when you look up you can see the stars shining brightly. This is a rare treat for someone who lives in the polluted capital like me. When I looked at the menu, I was surprised to see the prices of their drinks. Some drinks are just about P100. Beer is P60. The one I ordered was Mango Margarita which is just P120! In a similar high-end bar in Manila, the price of the margarita drink would easily be P300. I really love this place. This is a perfect palce to chill, unwind and hang-out with good friends. By the way, I learned that this place has just recently opened (just a few days ago… I think) and I’m lucky to have the chance to check it out. I definitely recommend that you visit the Sky Lounge by Blue Elephant when you’re in Cebu City. I’ve been to the other branches of Distillery in The Fort, Taguig and Jupiter, Makati so this is not something new to me. Their brand image has been kept well in this branch which is the first one outside of Metro Manila. They got the same collection of beers and liquors. The one thing that is different is the party atmosphere here or maybe I just always go to Distillery in Manila way too early so the party haven’t started yet. This is also in Crossroads Banilad and just a few steps away from The Distillery. They told me that this Mexican inspired restaurant has the best tasting mojito in Cebu and I agree! It’s the best mojito that I have had so far. 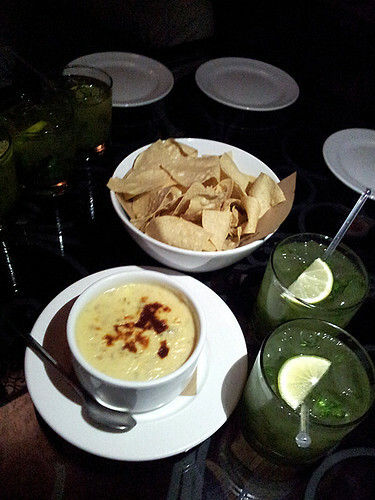 I also have to mention the very delicious melted cheese dip for the nachos. I just can’t get enough of it. After drinking, you should have a coffee, right? The Starbucks in Cebu IT Park is the perfect place to cap the night off. Cebu IT Park is their version of BGC or Eastwood where BPO companies are located. Unfortunately, I wasn’t able to stay for a while since it was already 2am and I’ll be going to Oslob by 3am. I really had a great time exploring Cebu’s nightlife. Hanging out with the locals made the whole experience really exciting since I wouldn’t have known about these great chillout spots if not for them. Moreover, I was able to get oriented about the city, what restaurants to try, places to visit and other travel tips. So, I would like to say a big THANKS to Doyzkie, Marco, Jem, Dave, RJ and Cyrus.